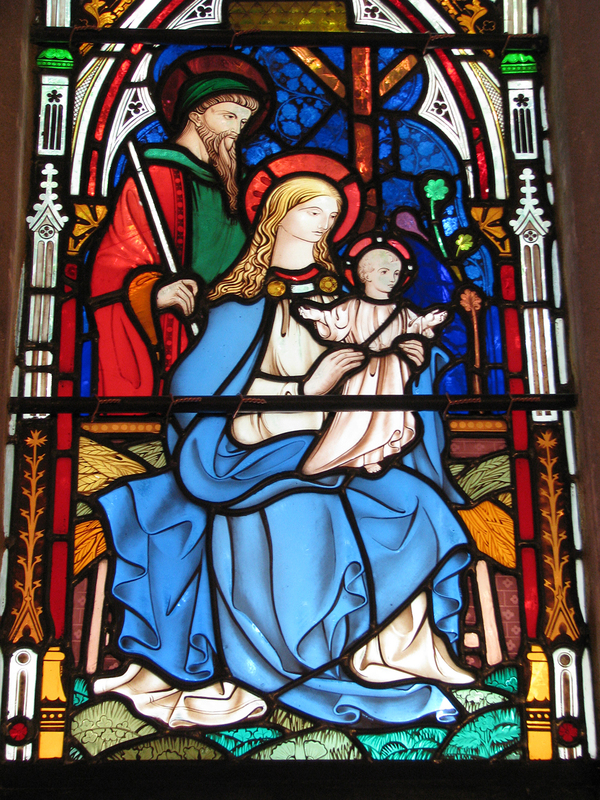 This 19th Century window at St Anne’s Church in Clewer depicting The Adoration was made by Clayton and Bell. 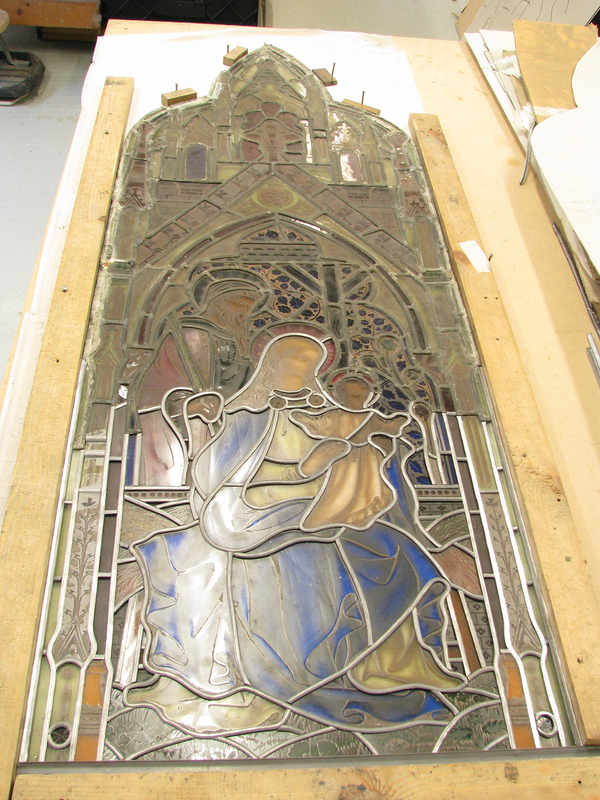 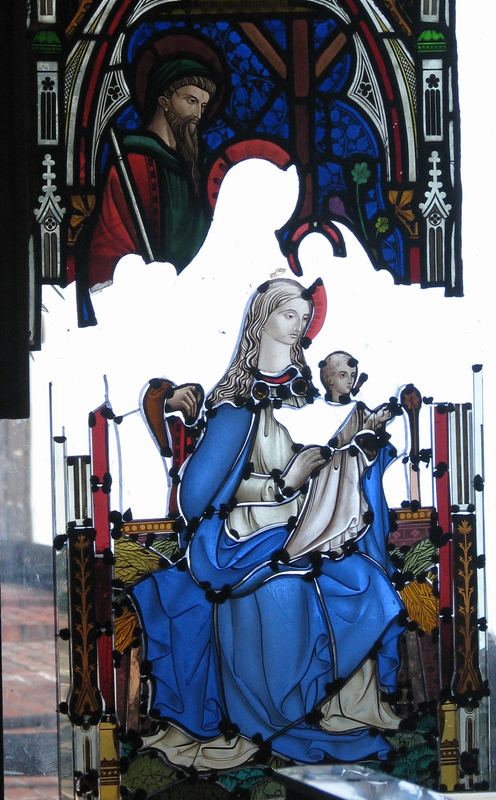 It was badly damaged and the majority of the lower half of the glass was missing. 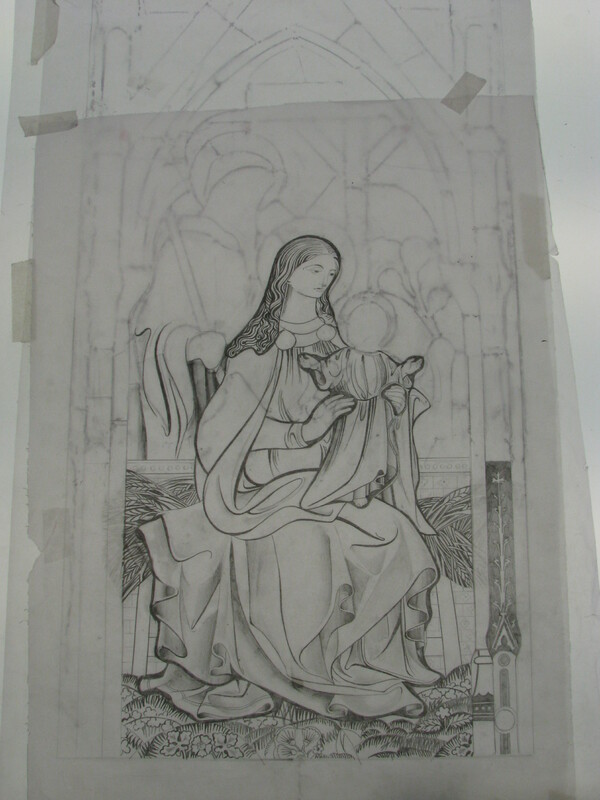 This section had to be re-drawn and reconstructed. 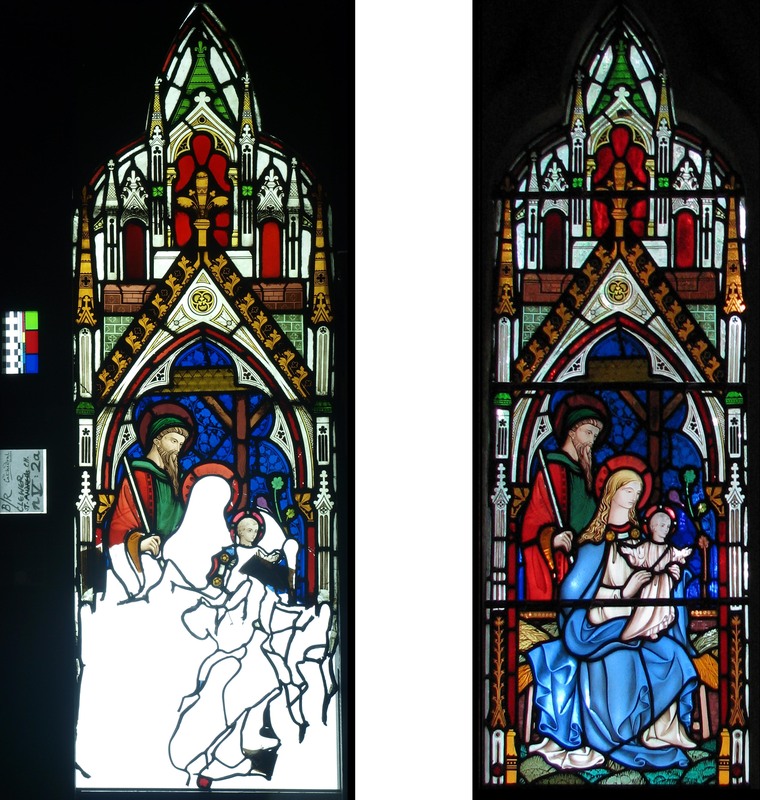 Extensive research was carried out on similar windows made by Clayton and Bell for other churches during the same period as The Adoration panel, and used as reference for the re-drawing of image/cartoon. 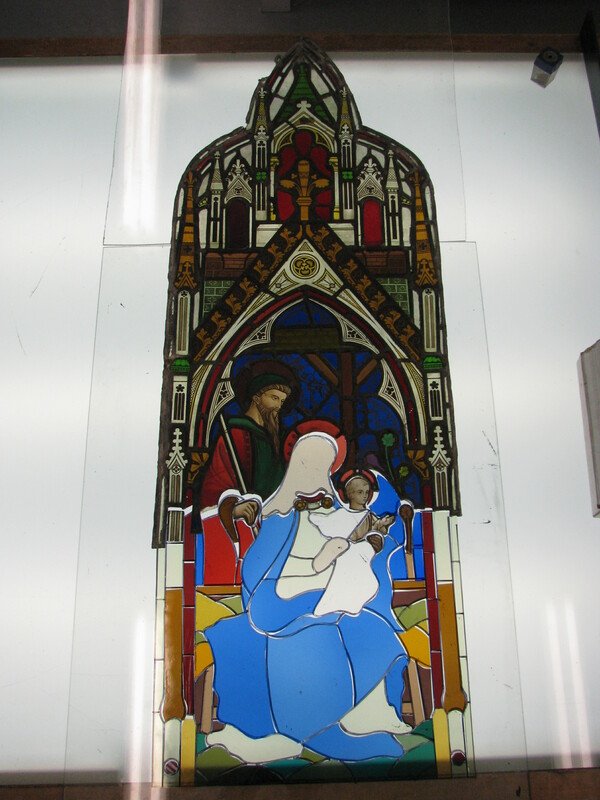 Glass colour, paint colour, painting style and technique and lead profile was matched to the original glass paint and lead.